jennie's nails and tales: I'm a VIB! Especially when I win them for being a "hilarious writer with a fun blog that's like a breath of fresh air in my overly serious world." Yeah, it pretty much made my day (a few weeks ago, although I'm still beaming), so thanks Meg! I have to display the award on my blog (I have it at the top here but still have no idea how to put it on my sidebar because I'm somewhat blog-illiterate). Link back to the person who nominated me (done, just click on the link "Meg!" Or, err...here, just in case you don't want to scroll back up). State seven things about myself (see below). 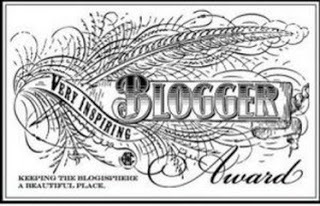 Nominate 15 bloggers (yikes, that's a lot. I don't have that many) and notify said bloggers (yuppers). 1. When I come out of a store and don't see my car right away, my stomach drops as I'm *sure* that it's been stolen. For clarification purposes, my car has never actually been stolen so I'm not sure where this reaction comes from but it happens on an almost-daily basis. 2. If I have to use math for addition, I still count on my fingers. I also occasionally pretend to write with my right hand when I can't remember which is my right hand and which is my left. Frankly, it's a wonder I've managed to survive this long. 3. My most recent favorite snack is salt and vinegar chips with dill pickle dip. It was a combo that The Remix and I first got into when we started dating but then Lays stopped making the crinkled salt and vinegar chips so we launched an unsuccessful campaign to get them back moved on. No, those chips haven't come back but I've learned that by putting two regular chips together, they don't break in the dip and I'm happy to have the taste explosion back (even though my lips get all dehydrated and pucker-y). 4. Hardly any of my clothes go in the dryer so when I do laundry, the two drying racks we have fill up fast. Then they sit in the corner of our living room for days (or weeks) because I'm too lazy to transfer them from the racks to hangers. The same goes for laundry baskets: I fold everything nicely, making neat stacks, but never put anything away. Unless company's coming over, that is. It's really the only time I put clothes away. You know, to avoid the judge-y stares. 5. I don't care how "small" or "harmless" a spider is. If I see one, I will try to kill it. If it somehow escapes my attack, I will freak the eff out, whole-heartedly believing that it will inevitably end up on the ceiling above me and drop on my head to seek its revenge, which means that I will do nothing else until I find it. And kill it. And then flush it down the toilet just to be sure. Not that I'm obsessive, or anything (okay, maybe just a little). 7. In about a month, I'm going to the first concert I've been to in five years (due to my medical sitch) and I'm beyond excited. And speaking of five years, my fifth wedding anniversary is in three months and that is utterly mind blowing as I never thought I'd ever be married. Or be in a relationship for this long (coming on eight years). I owe it to The Remix, who I am beginning to suspect is some kind of alien creature because he has the patience of an ice fisherman, a sense of loyalty that would put a Red Sox fan to shame, and a set of forearms that still make me all gooey. Emma of BubblyMuppet because she really digs reading, has lots of updates about her fitness goals and is an all round...well...bubbly muppet. Haha! Sarah at Fortune Favors The Brave because she has cute kids, tons of interesting pins (although lately they've been somewhat excessive with the desserts, which isn't helping my healthy eating plan *shakes fist*) and she's a fellow nail polish enthusiast. Tri-Girl at Tri-ing To Be Athletic (she likes to keep in anon) because she's pretty much the most athletic blogger in existence (she does the plank for over 2 minutes every day!) and draws hilarious pictures of her adventures in training for, and completing triathlons. Daniela at dk everyday because she loves burgers as much as I do, lives in my old hometown (Toronto), and just went to a Bon Jovi concert, which looked like the best time ever (and has left me more than a teensy bit jealous). lol love the gif - congrats on the award!